Are You Up To Starting Your Own Business. Thinking of becoming your own boss? Your mind made up? This business start up guide will help you decide if you really are ready to start your own business. No matter why you’ve decided to go into business for yourself, it always pays to be sure that being in business is right for you. That you fit the profile. Once you really are sure of this, you then have to decide which type of business will suit you best and which start up business will make you money. A nice, logical decision? Well life is not often like that and many of us go into business without really having decided whether being in business will suit us. Or even if the type of business we have chosen is right for us. Despite this many unplanned business start-ups are a success. However, following this business start up guide will ensure that you maximize your chances of business success. I, for example, started my most successful business by checking the ‘business for sale‘ columns in the newspapers. I and my wife then visited the business ourselves and right out of the blue we decided on the purchase of a very small furniture manufacturing business. Considering that I had spent the past 20 years in the corporate world of beer brewing, this was not a planned or rational decision. But luckily it worked out well. Okay, back to the business start up guide, and here’s how it should be done. Will being in business be right for me? Steps to starting a business. How can you know if you have what it takes to be in business for yourself? Not everyone is suited to running their own business and so it is essential that you decide on this before thinking of going into business. How to decide if you are cut out to be an entrepreneur and not an employee? Let’s take a look at what drives people to want to be their own boss. 1.) Are you ready for the changes a business will bring? If you are employed and everything at work is going well, you probably won’t even be thinking of going into business for yourself. Only when you are ready, will your thoughts turn to your own business. Frustration with life in one way or another is generally the reason for wanting to become your own boss. It can be one single major frustration, but is more likely to be a series of small frustrations piling on top of one another that urges you to want out of being an employee. You feel the need to get out and do something for yourself. You are ready to put your life savings on the line for your own business and independence. You see an opportunity for starting your own business. You feel frustrated and unappreciated. You are tired of your daily routine. Then you have probably reached the stage when you are motivated and ready to go out on your own as a business owner. That gut wrenching urge must be there and the stronger the better. Let this business startup guide help you succeed. 3.) Now get this … frustration is good. If you are not frustrated with your present life in some way or another then don’t change. Frustration is essential to drive you to be successful in starting your own business. Before you go any further in your quest to start your own business be very sure that your reasons are right. Worldwide millions of people give up their formal employment each year to go into business for themselves. Over half, 50 percent, of them will fail, mainly because they changed their lives for the wrong reasons, or they failed to adequately prepare for the change. You definitely don’t want or need to be one of them, so follow this business startup guide. 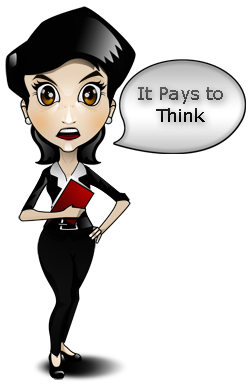 I know I keep asking you to think … Is starting a business the right thing for you to do. If your answer is a definite yes then answer these questions honestly. Are you ready for the long hours? Your business is your responsibility, everything that goes right or wrong is solely your responsibility. Are you ready to take on this responsibility? The competition can be fierce. Do you understand this and are you prepared? Hard work, overtime, sometimes lots of time; will lead to success and rewards. Making lots of money fast very seldom happens, so don’t bank on it. Do you understand there are no guarantees of business success? Have you lots of confidence in your idea and yourself? Success comes from confident people with good ideas. Knowledge breeds confidence. Have you the knowledge or can you acquire what is needed? Will you be able to raise the cash needed to turn your idea into a profitable business? Are you willing to take risks. If you have always been cautious don’t go into business for yourself. If your first business fails, will you start another or go back to a regular job? If you answer yes to the job, you should not be going into business. Starting your own business is a major decision, so be 100% sure that you feel confident enough to make it work. It will be a long slog so discount your initial urge to be your own boss. Think logically and ask if you have what it takes. Remember, that all you can do here is check out the guidelines for potential entrepreneurs and see whether or not you fit the profile. If you are sure that you have what it takes to go into business for yourself, you will be halfway there. With determination, you will be three quarters of the way there.